I love being off work in the summer so that I’m able to go to the farmer’s market every week. We have 4 farmer’s markets within 20 miles of our house and each one is held on a different day so it’s fun to go around to different ones each week. In addition to type fruits and vegetables our markets now sell bath products, coffee, jams and jellies, organic pet food, and other handmade items. I always leave with something. I try eating seasonal produce from the farmer’s market several times a week. Zucchini and squash have recently come into season so we’ve been eating a lot of both of them. Instead of simply frying the zucchini or making them into kebabs I wanted to make something that was lighter but filling and would serve as a great snack option in between lunch and dinner. I ended up making Zucchini Roll Ups. The thing about zucchini roll ups is that you can stuff them with just about anything. While they taste good raw, I find that cooking the zucchini for just a few minutes helps to soften it up which makes the roll ups really tasty. I wanted something that was both vegetarian and easy to make so I started looking for ingredients to fill the roll ups. What I came up with was hummus, mozzarella cheese, and seasonings. I spread a layer on Sabra Classic Hummus on the thinly sliced zucchini and then sprinkled it with salt, pepper, and oregano. 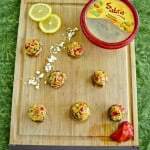 I used Sabra Classic Hummus because it’s what I had in my refrigerator but I think that Sabra Roasted Garlic Hummus or Sabra Sun Dried Tomato Hummus would be good as well. Then I thinly sliced the mozzarella and put that on top of the hummus. I rolled the zucchini up, stuck a toothpick in it, and cooked it in a grill pan for just a few minutes on each side. I didn’t want to fully cook the zucchini, I just wanted to give it a little color and soften it up. 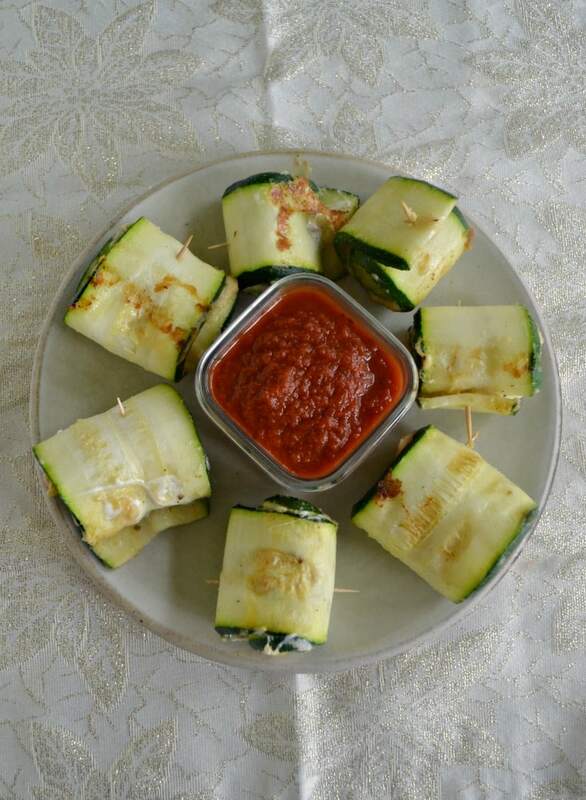 Once the Zucchini Roll Ups with Hummus and Mozzarella were finished I served them with a side of marinara sauce. The roll ups were delicious! 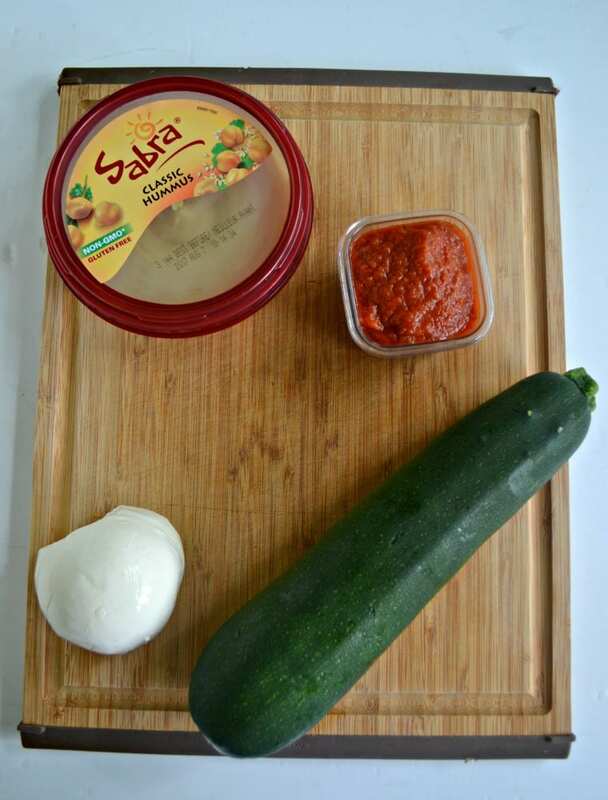 The zucchini was firm and flavored with the Sabra hummus, seasonings, and mozzarella. The marinara sauce added acidity and flavor that was perfect with the roll ups. These are perfect as an Unofficial Meal because they are filled with cheese, vegetables, and other good stuff but they are light enough that they won’t spoil dinner. Plus, I feel good serving these to kids because they are vegetarian and have a good serving of vegetables. 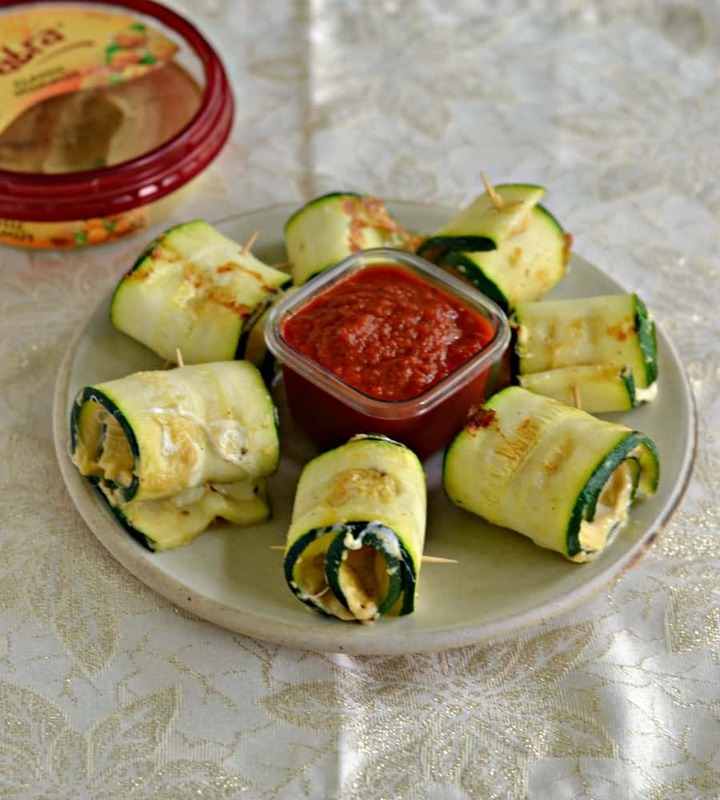 Thinly sliced zucchini topped with Sabra hummus, seasonings, and mozzarella cheese, rolled up, and grilled then served with marinara sauce. Using a mandolin or a wide vegetable peeler, thinly slice the zucchini lengthwise. I was able to get about 10 slices per zucchini. 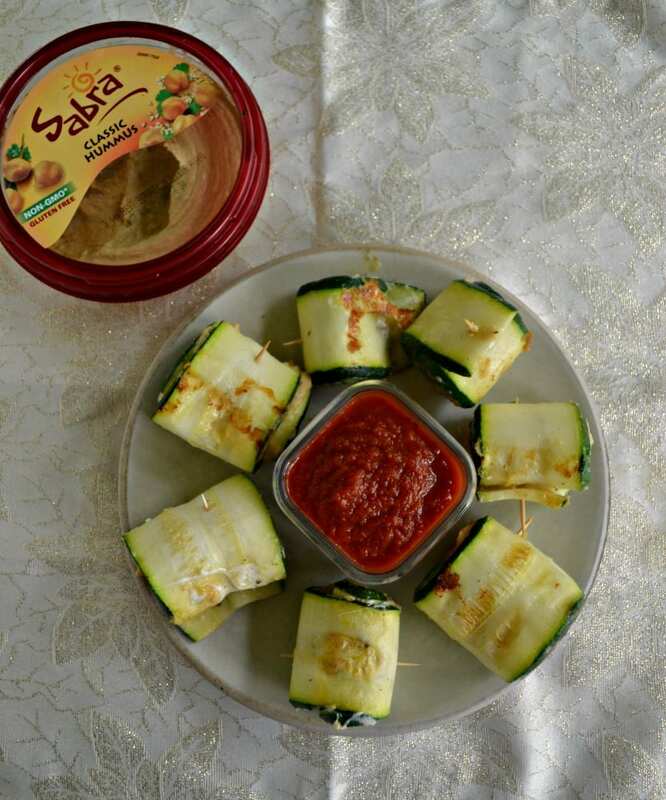 Place 1-2 teaspoons of Sabra Classic Hummus on each slice of zucchini. Spread it thinly over the zucchini leaving a thin edge around the zucchini. Sprinkle the oregano, sea salt, and black pepper over top of the hummus. Slice the mozzarella thin and place on top of the hummus. Roll each slice of zucchini and stick a toothpick in it to hold it closed. Heat a grill pan over medium high heat. Spray with cooking spray. 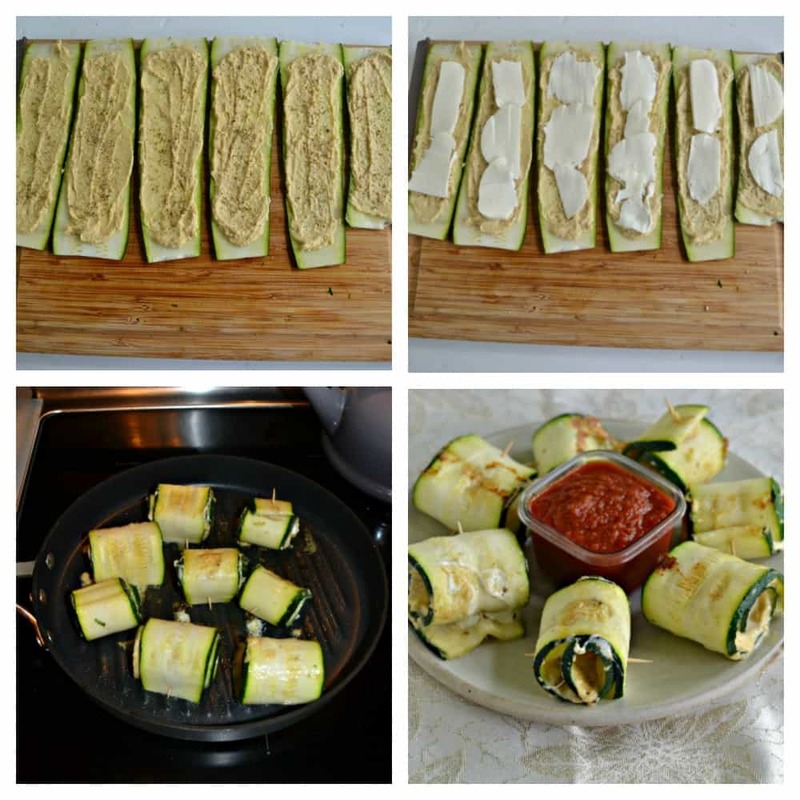 Place half of the zucchini roll ups in the pan and cook for 2-3 minutes per side. Remove to a plate and cook the remaining zucchini. This recipe was created as part of the Sabra Tastemakers Program but all opinions are 100% my own. I love exploring different markets too and always buy too much zucchini, so this is an awesome way to use it up. I’m always buying way too much zucchini too!